Boost Your Health Today With the Amazing Antioxidant Power of MegaHydrate! What are the benefits of MegaHydrate? What do people like best about MegaHydrate? Why is MegaHydrate the best antioxidant available? What are the top 3 questions people ask about MegaHydrate? What are customers saying about MegaHydrate? MegaHydrate is a powerful antioxidant supplement that promotes essential full-body hydration. Dehydrated cells cannot properly absorb nutrients or get rid of waste. Over time this leads to nutritional deficiency, cellular oxidation, and a dangerous build up of toxins. MegaHydrate is the key to unlocking the hidden nutrient enhancing potential of water inside your body. It's scientifically tested, safe, and has no known adverse side effects. Dr. Patrick Flanagan is the creator of MegaHydrate. He holds advanced degrees in chemistry, nanotechnology, bio-sciences and medicine. He's developed over 300 inventions and was named Scientist of the Year in 1997 by the International Association for New Science. Dr. Flanagan's desire is to share his discoveries with the world in the hope that they may be used to improve human life. 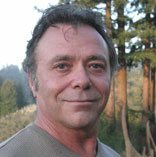 "I discovered negatively ionized hydrogen as the premier biological antioxidant in 1985. It took almost 10 years to stabilize the material and develop it as a product. We have published multiple papers in peer review journals on H- (negative hydrogen) and its effects in living cell cultures." "In bio-chemistry, there is the antioxidant cascade. All previously known antioxidants become free radicals when they neutralize free radicals. The resulting free radicals are not as harmful as those that were neutralized. For example, vitamin C (ascorbic acid) becomes dehydro-ascorbic acid (it has lost its hydrogen). The dehydro-ascorbic acid must be eliminated by the body. This is true of all antioxidants except for H- or active hydrogen. When H- neutralizes a free radical, pure water is the result." "The exciting thing about H- ions is that they can re-store and re-cycle all other radical scavengers. That is, it can restore Vitamin C in the body over and over again so that it does not need to be eliminated as a toxin. It works with all other know antioxidants in the same way. It is the king of antioxidants because of this. It is the only free radical fighter that is like that." What Are the Top 5 Reasons You Need MegaHydrate? It is the most powerful antioxidant available and helps neutralize harmful free radicals. Promotes energy production and metabolic activity. Adequate hydration supports stamina, memory, and mental acuity. Supports the ability of cells to utilize nutrients. Promotes longevity by supporting antioxidant processes. Every serving is loaded with antioxidant power. Superior protection against free radical damage. Combats dehydration in adults, children, and pets! Alkalizes the body and makes it an unsuitable environment for harmful organisms. Neutralizes the acids that cause degeneration. Proper hydration promotes healthy hair, skin, and fingernails. What Do Customers Like Best About MegaHydrate? 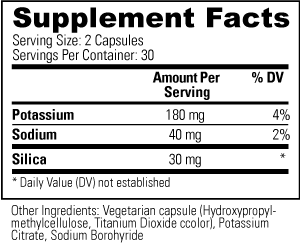 Why Is MegaHydrate the Best Antioxidant Supplement Available? A few capsules of MegaHydrate are packed with hydrogen ions. Supports hydration and nutrient delivery at the cellular level. MegaHydrate is safe, tested and has no side effects. Contains Silica Hydride, the only known antioxidant that does not breakdown into a free radical after it has neutralized a free radical. 1. Is MegaHydrate safe? MegaHydrate is 100% safe. It has been tested under laboratory conditions for effectiveness against a variety of free radicals, including singlet oxygen, super-oxide, and hydroxyl radicals. Unlike regular antioxidants, MegaHydrate has been shown to fully neutralize existing free radicals without creating any toxic byproducts, or becoming another free radical itself. 2. Why is dehydration so damaging? Dehydration prevents the body from assimilating nutrients and removing waste. Dehydration may stem from caffeine consumption, poor dietary choices, mineral deficient soil, pesticides, preservatives, and unclean water. MegaHydrate fights dehydration at the cellular level and keeps you hydrated. 3. How does MegaHydrate work? 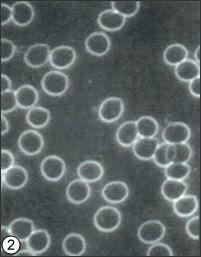 This photograph shows a blood sample from a subject with signs of low Zeta Potential. Notice the blood cells are clustered closely together, making it easy for waste to become trapped between them. This clustering effect is believed to be a direct result of dehydration. This photograph shows another blood sample taken from the same test subject 20 minutes after being given 500 mg of Silica Hydride, the active ingredient in MegaHydrate, mixed with 8 oz of ordinary water. 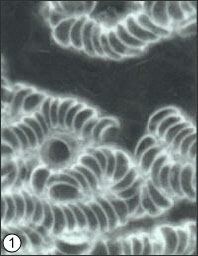 Improved Zeta Potential is indicated by the now evenly dispersed blood cells. Notice that the total surface area occupied by the cells has increased, thereby allowing exponentially more nutrients to enter into the cells, as well as releasing the toxins that were previously trapped between them. Add the powder from two capsules to fresh smoothies and juices to maintain freshness for several days. MegaHydrate powder can be added to cosmetics and skin care products to maintain freshness. Take one or two capsules prior to flying to increase hydration and reduce free radical damage. Boost Your Health & Wellness Today With MegaHydrate! As a dietary supplement, begin with two (2) capsules daily, and gradually increase to four (4) capsules daily, or as otherwise directed by a healthcare professional. Abstract: Working as an extension of a newly developed method for a capillary electrophoretic analysis of purine nucleotides, nucleosides, bases, and catabolism, an assay of the differential metabolic properties by a novel organosiliceous an ionic hydride compound, silica hydride, was evaluated with Chinese hamster ovary mitochondria using a 50mm poly(acryloylaminopropanol)-coated, fused-silica capillary. The results of this organellar differential analysis indicate a correlation of increased redox pair of NADH to NAD1 ratios by two times and an increase in ATP levels in the assayed mitochondria by six times. Glucose levels in the organelles were half of the original values. This study validates the electrophoretic method utilizing live organelle fractions for differential metabolic analysis and additionally illustrates some of the emerging novel properties of silica hydride. As confirmation of the results obtained in this assay, additional methods of standard protocol were used to monitor the mitochondrial metabolic activity. Abstract: Utilizing a novel combinational technique incorporating spectrafluorometry and photosensitization, this analysis determined cell viability and cytotoxicity through the introduction of reactive oxygen species and measurement of plasma membrane integrity. Chinese hamster ovary and mouse hybridoma cells were treated with silica hydride after being photosensitized with singlet oxygen, hydroxyl/superoxide, and hydroxyl reactive oxygen species through the use of rose Bengal diacetate, malachite green, and N,N-bis(2-hydroperoxy-2-methoxyethyl)-1,4,5,8-naphthaldiimide, re- spectively. The analysis resulted in an easy and effective method for quantifying reactive oxygen species reduction and characterized the radical reduction efficacy of silica hydride at 97% against singlet oxygen species and over 87% for the combination of hydroxyl and superoxide reactive species, and 98% effective for hydroxyl radical species. Nontreated photosensitized controls showed less than 1% viability under the same conditions. Abstract: The hydroxyl radical scavenging capacity and efficacy of a novel organosiliceous anionic hydride compound, silica hydride, were quantified by a recently developed method. The method measures a direct relationship between the hy- droxyl radical scavenging capability of the antioxidant compound and the linear decrease in signal from a fluorescent 2-hy droxyterephthalate product created by reacting an Fe21-EDTA complex in the presence of a potential radical scavenger. A fluorescence signal half-inhibition, IC50, value of 1.4 6 0.1 mM was obtained for silica hydride compounds. The validity of the analysis was verified by electron spin resonance spectroscopy, spectrophotometric analysis of NAD1 /NADH ratios, mitochondrial membrane potential measurements, and assays of both cytochrome c(Fe31) to cytochrome c(Fe21) and epinephrine to adenochrome reductions. Abstract: A recently described novel compound, silica hydride, was used to investigate potential alternative hydrogen energy sources for use in industry, pharmacology and biochemistry. Acting as an anionic hydride, the silica hydride does not react violently with water and produces stable oxidation-reduction potential readings of greater than −860 mV for extended periods providing capacity as an alternative for current transfer, hydrogen production and fuel cell applications in industrial arenas. In a biological venue, the silica hydride definitively reduces the pyridine NAD+ to the NADH form, indicating potential for use as a biochemical fuel cell. Subsequent analyses of the compound indicate no induced cytotoxicity as a result of the silica hydride and the increased NADH in a cell. Abstract: Synthesis of an anionic hydride from monomeric silsesquioxanes is described. The novel compound, dubbed “silica hydride” is the best of several newly synthesized compounds from an interstitially embedded hydride family. It is a hydride-based compound with H− ions interstitially embedded in a matrix of caged silica. This compound exhibits profoundly different characteristics than other known compounds in hydride family. Unlike saline hydrides, the silica hydride demonstrates no overt or violent reaction with water or air. However it is capable of generating aqueous reductive potential readings of −750 mV for extended time periods. In vitro biological testing demonstrated no cytotoxicity induced by the compound while demonstrating efficacy as an antioxidant. In vivo studies of the compound have shown that it has a significant ability to reduce lactic acid build up in muscles by one-half after exercise. The synthesis of the silica hydride resulted in an approximately 16.8% w/w hydride content, as determined by density changes, proton NMR spectroscopy and ion beam analyses. Scanning and tunneling electron microscopy, Rutherford backscattering spectroscopy (RBS), forward recoil (FReS) ion beam analyses, in addition to Fourier transform infrared spectroscopy, reduction potential and 29Si CP-MAS solid state NMR were additionally used to characterize the compound. Cory J. Stephanson, B.S., Anne M. Stephanson, B.A., and G. Patrick Flanagan, M.D., Ph.D.
Abstract: Treatment of Chinese hamster ovary and mouse hybridoma cells with Mega-HTM brand silica hydride, a marketed antioxidant, after photosensitization with singlet oxygen and hydroxyl/superoxide reactive oxygen species through the use of rose bengal diacetate and mala-chite green resulted in an effective method of reducing free radical activity by more than 96% against singlet oxygen species and more than 86% for hydroxyl and superoxide free radicals with the serving recommended by the manufacturer. The analysis used a combinational spec- trafluorometric technique to determine cell viability and cytotoxicity through the mechanism of intracellular esterase activity and plasma membrane integrity. Photosensitized controls not treated with silica hydride showed less than 1% viability under the same conditions. The reduction of the introduced free radicals and singlet oxygen species and the consequent high levels of cell viability may be the result of effective and efficient antioxidant and radical scavenging properties of silica hydride. Why are hydrogen negative ions important? What is the Flanagan Silica MicroCluster? Free radicals form inside the body when certain chemicals lose an electron and become unstable. This happens constantly, for example, as oxygen is metabolized. These unstable atoms and molecules roam the body stealing the electrons they need to re-stabilize. This in turn creates more free radicals, and the process repeats itself. Damage to the cellular DNA occurs when the body has insufficient hydrogen ions to counter balance the normal supply of oxygen ions. Cells that fail to regain their stability begin to oxidize — similar to how rust forms on iron. Most scientists agree that this cellular oxidation is the primary cause of premature aging. Antioxidants are chemical molecules that defend cells from free radicals by slowing down the oxidation of other molecules. Zeta potential is a scientific term used to describe the electrokinetic capacity (or tolerance) of heterogeneous solutions. It's often used to measure the molecular stability of chemical compounds in order to increase their normal shelf-life. The Flanagan Silica MicroCluster is a unique form of silica hydride that safely stores negatively charged hydrogen ions, and releases them into the body whenever free radicals are encountered.